Blessingbourne’s Award Winning luxury Courtyard Apartments are nestled within the heart of fairytale woodlands and private lakes on our 550 acre Country Estate. Blessingbourne boasts the perfect destination for many different styles of Hen Parties, from the exciting outdoor adventure escape, to the ultimate in countryside relaxation… we have a Hen Party package to suit every Bride-To-Be’s interests! Each Package includes a complimentary Hen Party Exclusive Welcome Hamper! If you would like to mix and match some of our Hen Party packages we can offer a bespoke package tailored to suit you and your Hens, simply contact us on 028 895 21188 to discuss. For those seeking a more thrilling Hen Party, Blessingbourne Estate is an adventure seekers dream! Gather your favourite girls and enjoy 3 hours of Bike Hire to challenge each other to a race around our 13KM Mountain Biking Trails! Enjoy exploring our 550 acre country estate together by strolling through the fairytale woodlands, past picturesque private Lakes and take in the gorgeous scenery and fresh country air. A guided walking tour can also be provided with our Estate owner Colleen Lowry, who will enthrall you all with the many quirky stories of the Estate. If fresh air but minimal exercise is more your vibe then boating on private lough Fadda is a must! 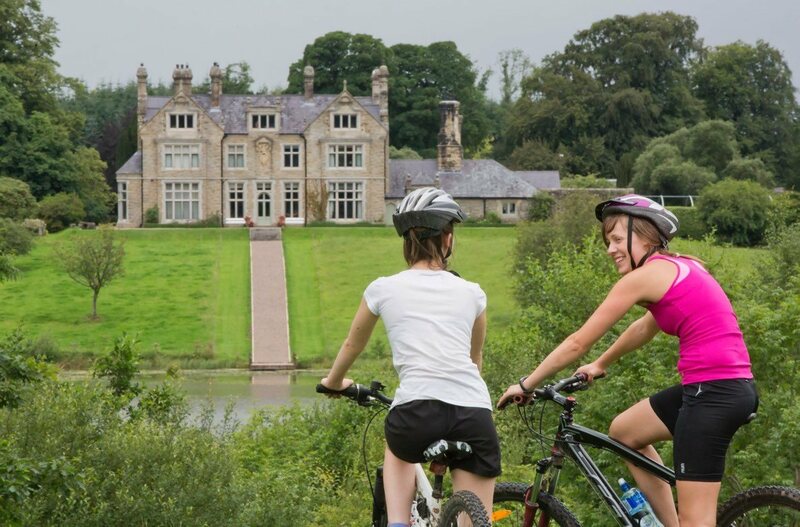 Enjoy the spectacular views and grandeur of Blessingbourne Manor house from the unique viewpoint on Lough Fadda. Finally retreat to your luxury apartments to tuck into your complimentary welcome hampers including rose wine and chocolates. Fancy something a little more sophisticated? 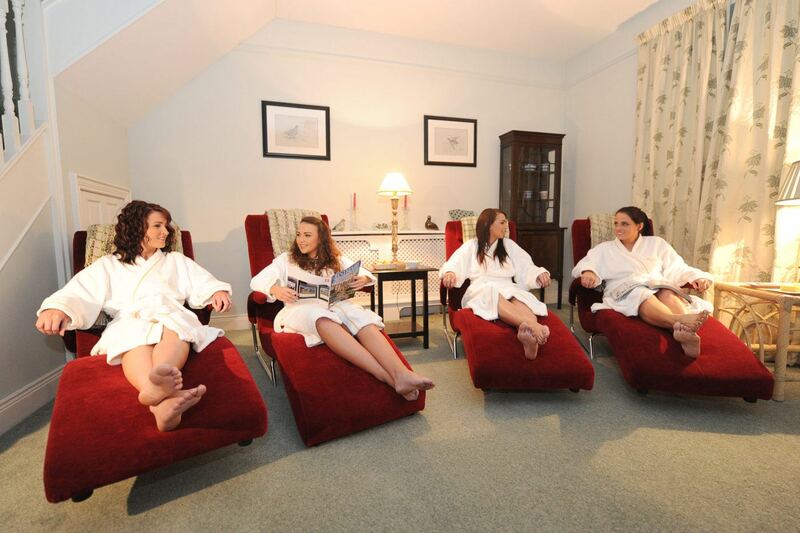 Our Ladies of the Manor package is perfect for those Hen’s who like a little high brow luxury! Enjoy a personal guided tour of Blessingbourne Manor house given by our illustrious Estate Owner Colleen. Sip your prosecco and be enchanted by the interesting and eye brow raising stories which lie in Blessingbourne’s quirky history! Spend your afternoon together in our charming refurbished Coach House and indulge in a Vintage Style Afternoon Tea! 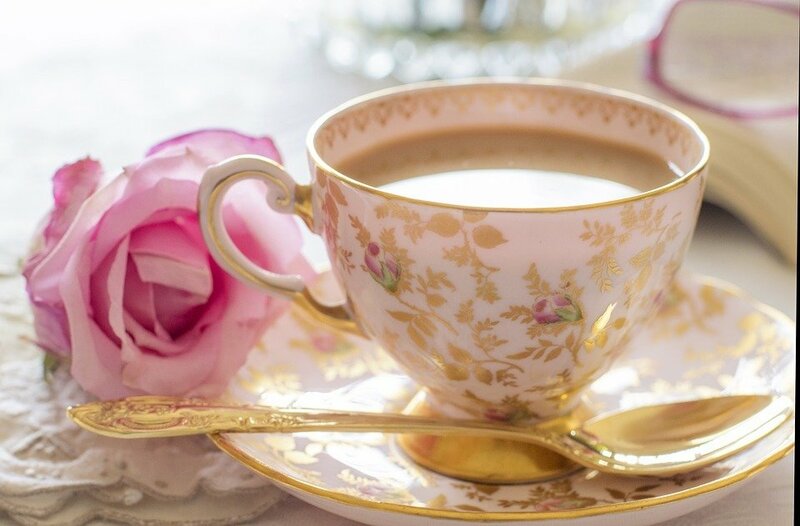 Complete with homemade artisan cakes and treats ands scrumptious sandwiches, you can enjoy a good laugh and catch up together in the comfort of your own private Victorian style surroundings! What better way to enjoy a catch up with all your favourite ladies than the ultimate Spa relaxation experience! We have partnered with the luxurious Colebrooke Spa to offer a range of blissful Spa packages to suit every taste and budget! Ditch the high heels and celebrate in the comfort of your favourite pyjamas! 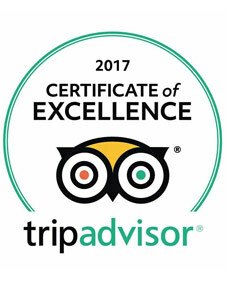 Enjoy 2 nights of luxury accommodation in our Award Winning Courtyard Apartments with all of your favourite girl friends. Once settled in your luxury Apartments tuck into your complimentary welcome hamper filled with everything you need to kick start your stay, including a bottle of rose wine and a tub of ice-cream! Enjoy exploring our fairytale walking trails and getting lost in the adventures that await you all at Blessingbourne Estate during the day. 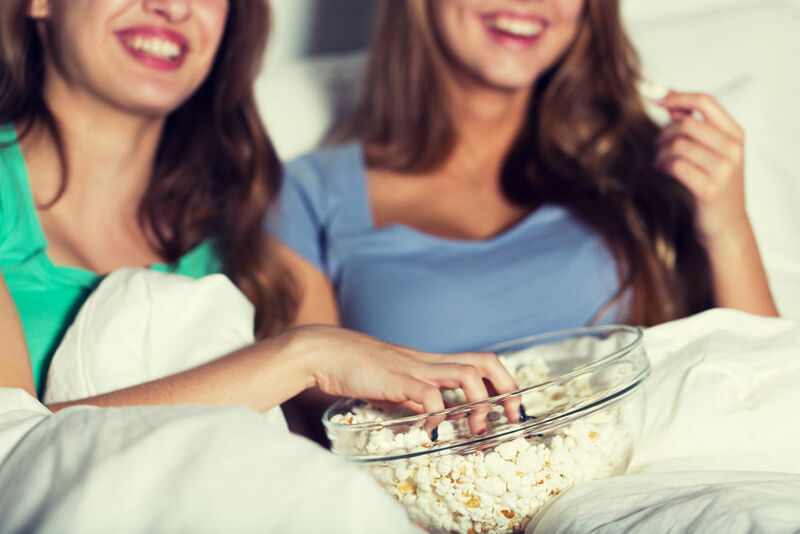 Then in the evening you can retreat into our cosy refurbished Coach House where you can lounge together in your Pyjamas in front of the wood burning stove, choose from a variety of classic chick flicks and indulge in two large pizzas, Prosecco and lots of treats! Is your Bride a girly girl who loves her luxuries? We have the perfect hen party for her! Enjoy a Makeup Master class hosted in our Historic Refurbished Coach House by the talented Makeup Artist Rachel Nixon. 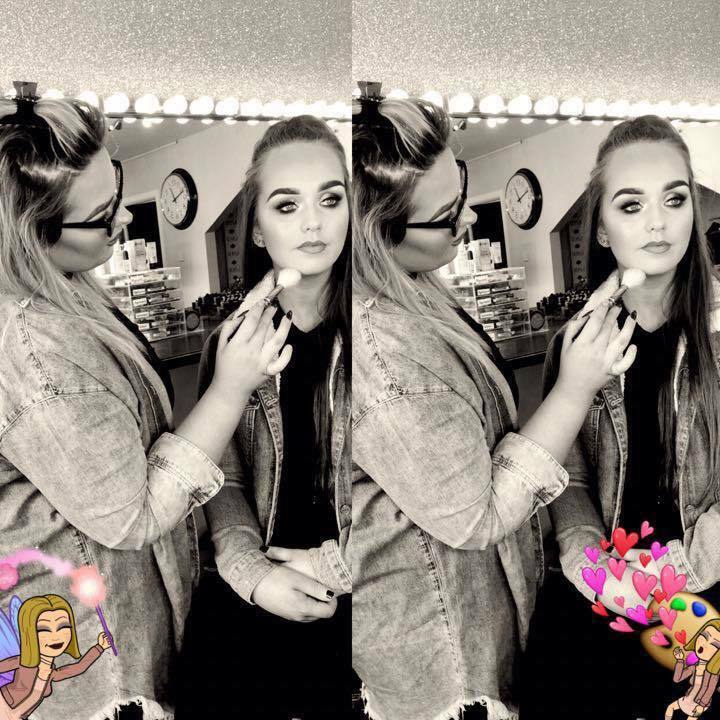 Find out lots of hints and tips on how to wear your favourite Makeup brands and play a range of hen themed girly games. Retreat in the evening time to your luxury accommodation and tuck into your upgraded Hen Party themed Welcome Hamper! Enjoy full use of our Historic Coach House throughout your stay for a movie night with all the hens, party games or dining together.